If you want to increase the insulation of your home, the first thing to do is replace your single-glazed windows with double glazed windows. 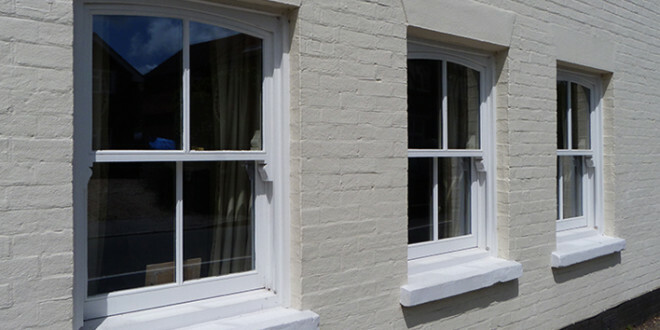 You can have your new windows cut to your specifications, which is often a prohibitive cost, or you can buy double glazing yourself, and insert it into your window frames. Here’s how to do it. Effective, convenient, and cheap. Remove the plates from the window’s hinges. Place them on the trestles. Make sure to have under them a large tarp, in case you end up with broken glass. Put on heavy-duty gloves to avoid cuts. Remove the old sealant/putty with the knife and hammer. You should be able to remove the glass. Remove all the pins that held the glass in place, without missing one. In case the glass had beading around the edges, lift it to unclip completely. If your window has multiple panes, remove everything in between, by cutting them flush around the window frame. You should end up with a completely empty window frame, without anything superfluous. It is very important that you clean the entire window frame and glass rabbet, from the inside out. This rabbet should be at least 1 inch deep to receive double glazing. If the depth is less than that, you’ll have to completely change the window opening. If there are any holes, fill them with putty. There should be nothing hanging out, not even scraps or pieces of glass. Vacuum the rabbet at the end. Take accurate measurements, including the bottom of the rabbet (height and width). If you windows are not standard size, or are too damages, it may be necessary to completely change them. In the center of the glass rabbet, regularly drop some elastomeric sealant, on the vertical part of the window (when it is on the trestles). Carefully add it to the frame. Be aware that double glazing is much heavier. Center the insulating glass as best you can. If need be, ask for someone else to help. It is very important to correctly fix your double glazing, if required you can use shims provided by the manufacturer. Measurements should be strictly the same length, otherwise the double glazing will force the window frame to change shape, given its weight. Gently press, in order to make it stick to the sealant. Do not use traditional putty, like linseed oil, as it is much less sticky than the elastomeric silicone sealant, and may not withstand the weight of the double glazing. Attach the double glazing by planting spikes around the jamb of the window. Above them, replace the glazing if you still have room in the rabbet. If not, add some sealant that you’ll have to cover with nails on the window frame. If there’s still some free space, add some more sealant that you’ll spread out with moistened fingers. Replace the window opening on its hinges.